Updates to Sharon R.'s profile since your last visit are highlighted in yellow. In 1971 Sharon Volm introduced us at her Mom's bar, Uncle Tom's, as we were passing though following a shopping spree. The excellent education I received in the vocational cosmetology class from our terrific teacher, Mrs. Wiseman propelled me into a most rewarding career in hair styling. In 2002, after working locally for thirty seven years I traded my shears for a camera, my house on the water for a 40 foot house on wheels as Steve and I took to the road to explore the USA. Now this is the way to learn history. We love being full time RVer's and have been amazed, awestruck and entertained by all this beautiful big country has to offer. We are so blessed. For the first two years a month's stay during the winter was as long as we could park. Now we've settled into a routine of spending winters in Bahia de Kino, Mexico, a terrific seaside community where we enjoy numerous activities with friends, golf being our favorite, and traveling during the summer. Currently we've set our compass north and are taking the summer to see Alaska, via Montana, Alberta, British Columbia , the Yukon and the Alaskan highway. In 2017 we gave up full time RVing to settle in Wildwood, Florida. Golfing occupies most of Steve's time. Mine is divided between, golf, cards, and serving on our board of directors. Janet Diggs, Sharon Volm and Becky Hickox have covered my schools years quite well but I'll add a few stories. Hiding Sharon's car in the parking lot to watch the melt down. Pinching Becky's arm so hard it left a big bruise after shaking hands with President Johnson, sorry Becky. Double dating with Helen Hunt. The fun crazy times in Cosmetology class, kneeling in front of the state board inspector to prove our skirts were below our knees, big time nerves before taking the state board exam. Student of the month, thanks Mrs. Wiseman. Embarrassing my younger sister when passing her in the hall way. Both of my sisters also graduated from Crossland, Linda was in the first graduating class. The wonderful friends that made my school years so memorable. I do so cherish them. 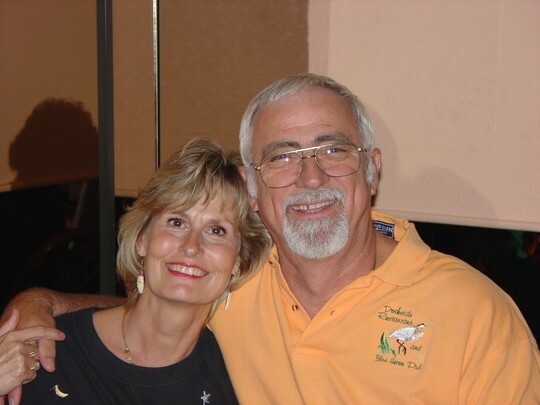 Sharon R. Mauney Chapman updated profile. View. Sharon R. Mauney Chapman has a birthday today.